A post from September of 2016 with updated artwork. The picture is the same, just a better resolution. It's also available as a print at the Distracted Naturalist Redbubble store. 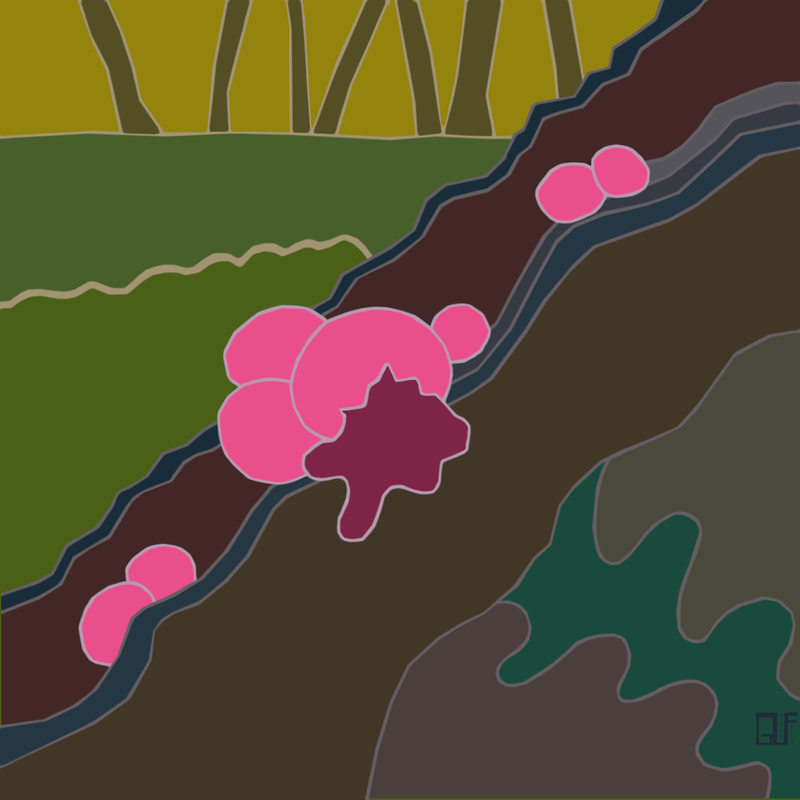 You could have a Pink Wolf Slime print proudly displayed in your home! Pink Wolf Slime, Lycogala epidendrum was brought to my attention a number of times this past week. And each time I made the mistake of calling it a fungus, when it is in fact a slime mold. First, I'm only describing Plasmodial Slime Molds (typically placed in the family Myxomycota). There are two other groups of slime molds that are similar in many respects, but not closely related. The mobile stages feed by ingesting small organic particles, bacteria, spores, and other protizoans. This is in contrast to fungi which feed by absorbing nutrients from their surroundings and are imbedded in their substrate. 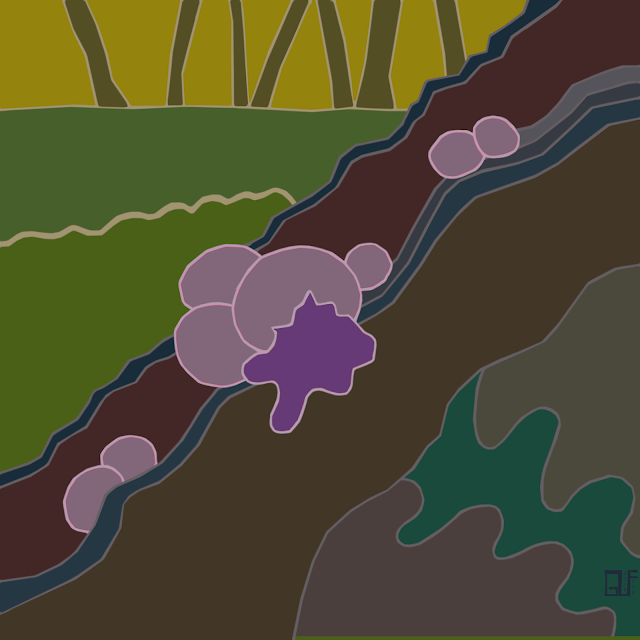 Pink Wolf Slime is the spore producing stage. It starts out as pink balls with a darker pink goo inside. As it ages it gets browner on the outside, while the inside gets less gooey and develops a purplish hue. The name "Pink Wolf Slime" sort of makes sense. Remember the scientific name is Lycosgala epidendrum. The first part of the genus name, "lycos" means wolf in Greek while "gala" means milk, so Pink Wolf Slime. But why wolves to begin with? There's a genus of puffball mushrooms called Lycoperdon, so more wolves, in this case farting wolves since "perdon" means to break wind. But again, why wolve. The species name epidendrum means growing on wood, which seems sensible. 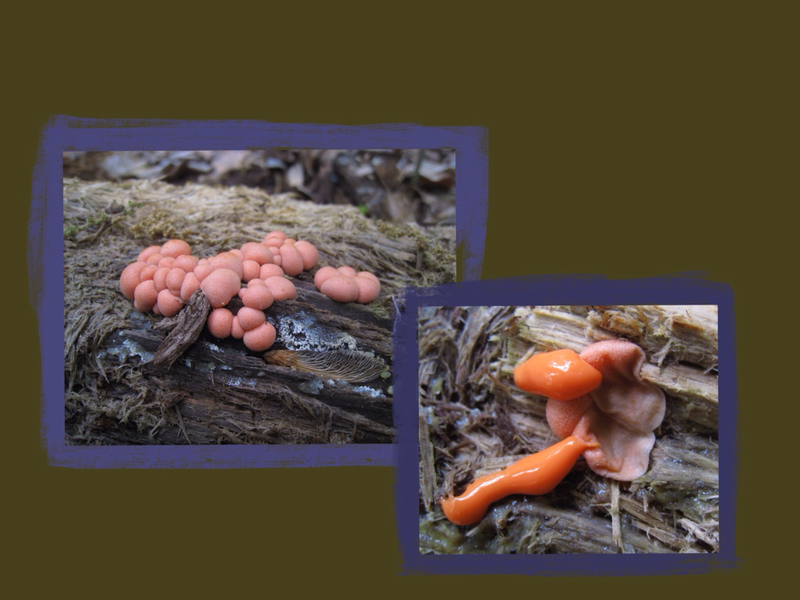 Despite looking like a piece of candy and occasionally being referred to as Pink Bubblegum Fungus online, it is not edible. Nor does it have any anti-cavity or teeth cleaning properties even though another common name is Toothpaste Slime. It is also referred to as Groening's Slime which probably does not refer to Matt Groening (of "Life is Hell" and a tv show or two I think). I sort of wonder if it's a name made up name for Wikipedia. In my experience the pink goo usually just splurts out undramatically. But during a recent mushroom program, after mistakenly calling some Pink Wolf Slime a fungus, I poked one with a twig and it splattered all over a participant's shirt and hat. I felt bad.